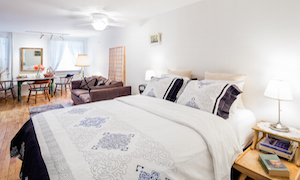 Our comfortable apartments are for short term rental. The apartments are nicely furnished and fully equipped for comfortable living. The apartments are conveniently located in Williamsburg, the neighborhood of Brooklyn, within 15 -30 minutes travel from Manhattan. The apartments are perfect places to stay for visitors to New York City!